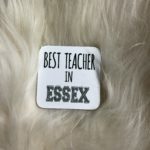 Category: Gift Ideas, Leather Home Accessories. 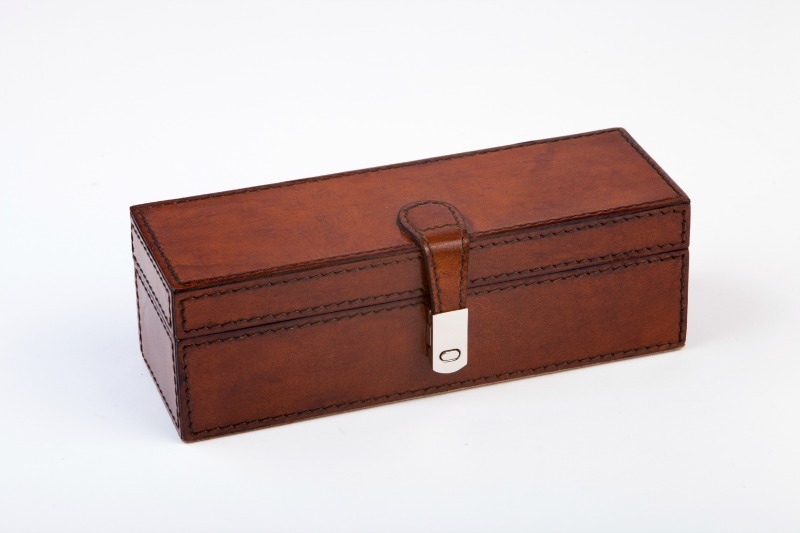 Our leather cufflink box is a winning gift solution for men: 18ths, 21sts, 3rd anniversaries and best man gifts. 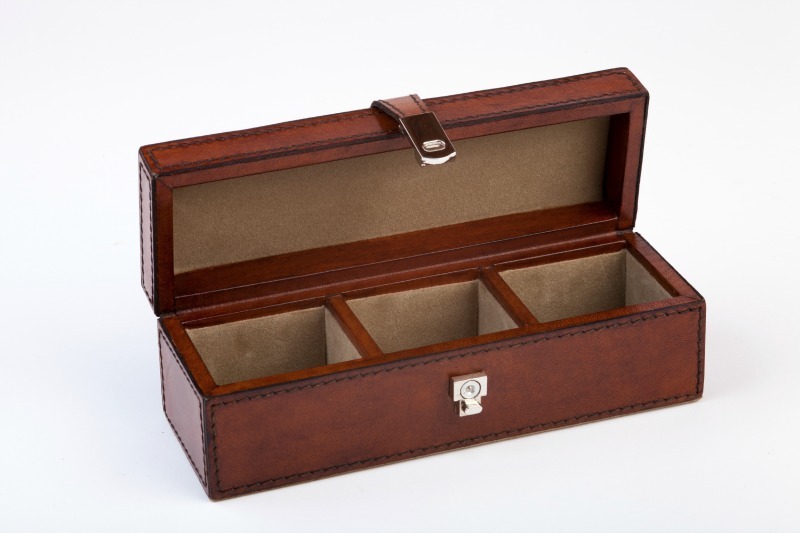 This rich chestnut brown box has three sections for cufflinks and a single slim back compartment suitable for collar stiffeners. 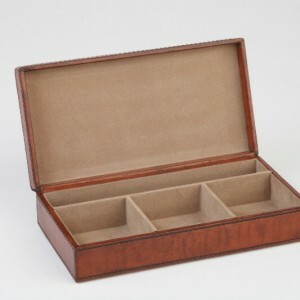 Equally the box works well on the desk with pencil or pen, stamps, staples and paper clips. 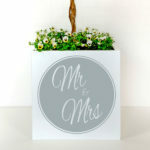 We are happy to offer you free gift wrapping with a handwritten message. 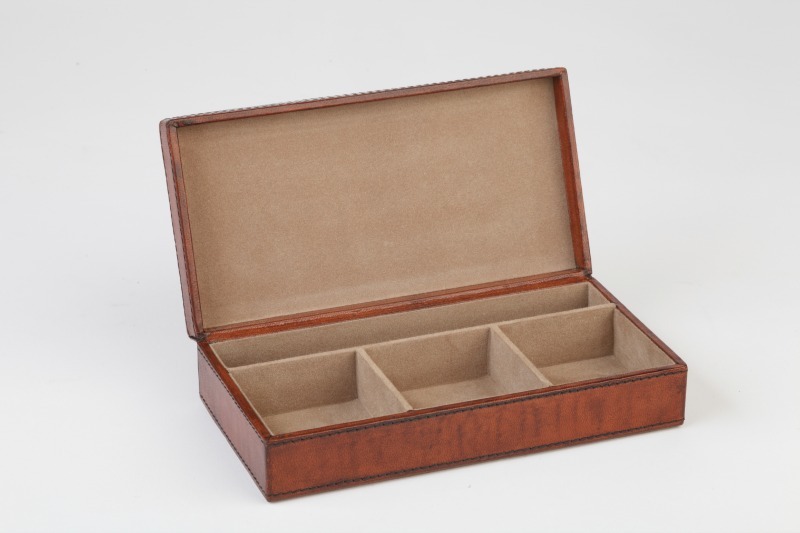 Please be aware the cufflink boxes are made from natural materials and are hand crafted, as such there will be slight variations in colour, texture and markings which we believe adds to the item’s beauty and individual character.